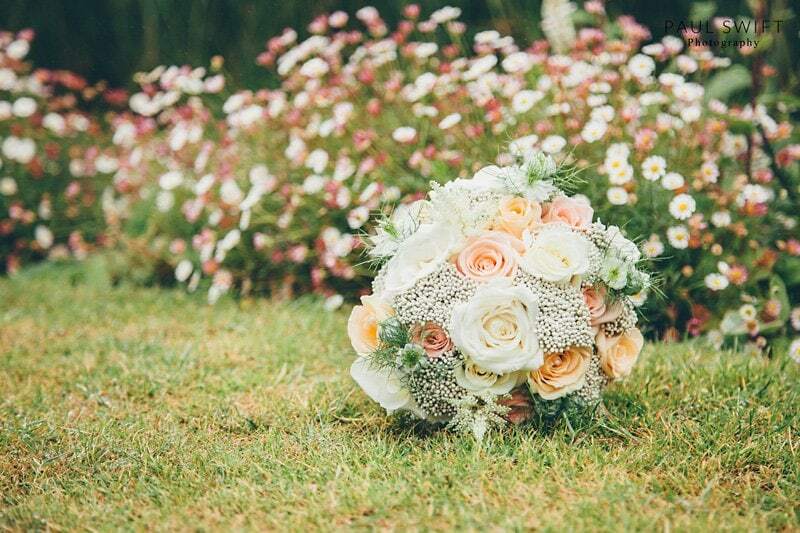 my vision to inspire YOUR wedding. 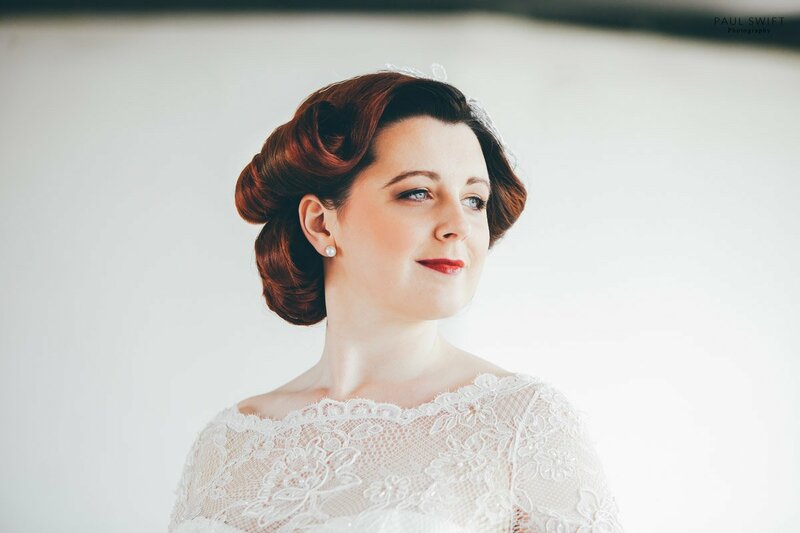 The inspiration for this look is from my love of the Vintage Style Weddings and the venue, Marine Hall. The hall was built in the Art Deco era of the 1920’s and indeed still has many of the features not least the domed roof over the ballroom. With this in mind, it was back to the magazines, blogs and Pinterest. It didn’t take long at all to find the dress, infact I knew from searching Pinterest what I wanted and it was one that Dreamcatchers have on display. 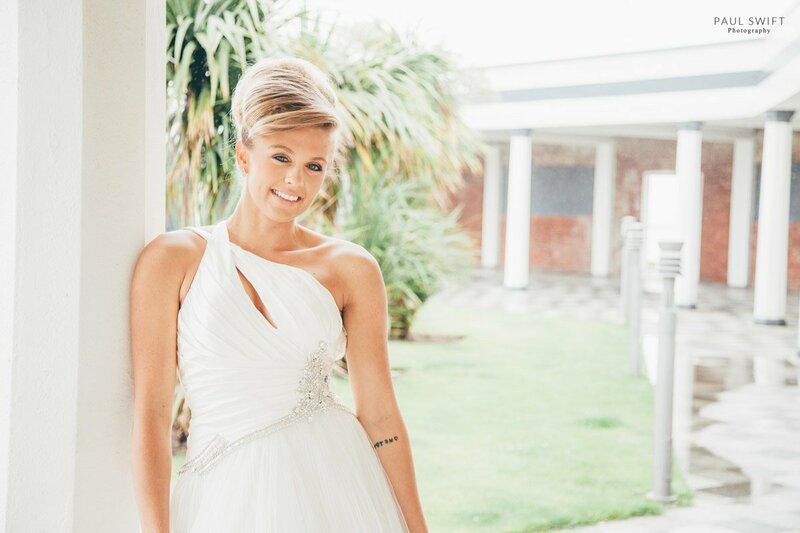 Jaime by Enzoani was the choice and it fit our model Carla perfectly. This floor length gown is elegant with beautiful beaded sleeves and bodice, with skirt of lace over tulle and charmeuse. The romantic vintage look is finished with delicate beading to the floral lace hem. The look was added to later in the shoot by adding a feather wrap by Sasso. Perfect! The hair, long and wavy added to with the vintage accessory and subtle make-up by Sonara and Clare was also perfect to compliment the look. Kate of Fabulous flowers by Kate crafted a gorgeous bouquet of avalanche roses, peach avalanche roses, rice flower and vendella roses to finish off the look. Kate also provided us with the afternoon tea styling which was gorgeous. 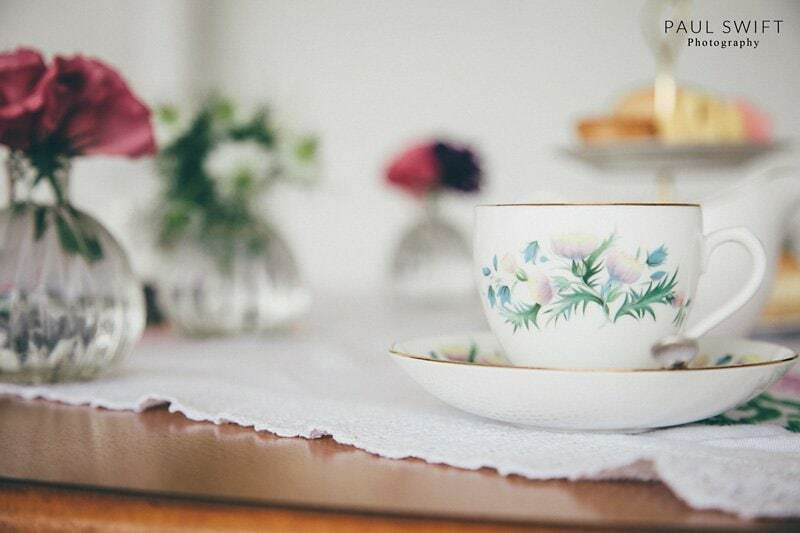 We had cakes, china, heather and nigella to complement the style of our shoot. With everything in place, I chose a few backgrounds, from the striking red brick wall to the columns and palm trees with the addition of a rather misty looking beach to set the look off. Click here to see a gallery of selected images from the photoshoot. Avoid wedding day disasters and pitfalls with my advice based on years of experience photographing weddings. Simply click the link below and download my top 15 tips now.